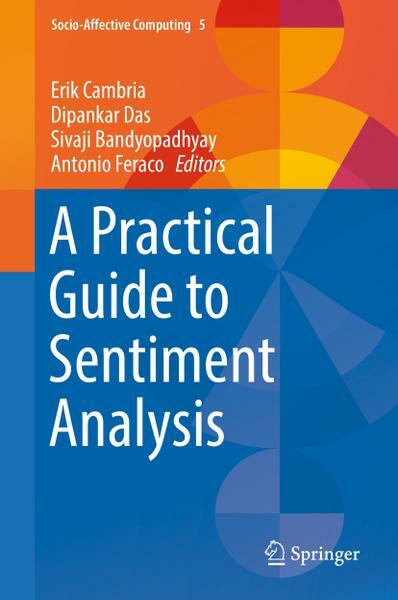 byte.to A Practical Guide to Sentiment Analysis - Filme, Spiele, Musik, Bücher und mehr kostenlos downloaden. Erik Cambria, "A Practical Guide to Sentiment Analysis"
Sentiment analysis research has been started long back and recently it is one of the demanding research topics. Research activities on Sentiment Analysis in natural language texts and other media are gaining ground with full swing. But, till date, no concise set of factors has been yet defined that really affects how writers sentiment i.e., broadly human sentiment is expressed, perceived, recognized, processed, and interpreted in natural languages. The existing reported solutions or the available systems are still far from perfect or fail to meet the satisfaction level of the end users. The reasons may be that there are dozens of conceptual rules that govern sentiment and even there are possibly unlimited clues that can convey these concepts from realization to practical implementation. Therefore, the main aim of this book is to provide a feasible research platform to our ambitious researchers towards developing the practical solutions that will be indeed beneficial for our society, business and future researches as well.